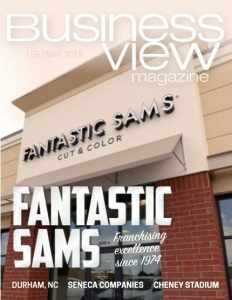 Business View Magazine interviews Blair Silvestro of Chef’s Cut Real Jerky Co., as part of our focus on best business practices in food manufacturing. Jerky has always been thought of as the ultimate gas station snack. But recently, with the rise in popularity of high-in-protein snacks, jerky seems to be available everywhere. 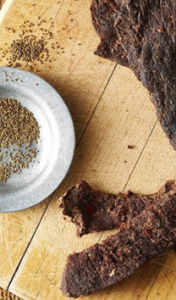 Some members at Calusa Pines, who loved the product, either loaned the pair funds, or made a monetary investment, so that they could purchase the proper cooking equipment to make jerky on a larger scale. “From 2009 to 2013, they sold their product in Ziploc bags on golf courses around the country, as well as some online commerce,” Silvestro reports. In 2013, a gentleman by the name of Rohan Oza, a serial entrepreneur who was one of the early investors in Vitaminwater, Pop Chips, and Vita Coco, met them after tasting the jerky on the golf course, and was surprised to find out that the jerky makers were not members of the country club, but were, in fact, caddies. After the meeting, Oza became the third partner in the business and, in 2014, after some rebranding of the packaging and a little refinement of recipes, the trio took the product to the retail marketplace. “And the business has been on fire since then,” Silvestro adds. 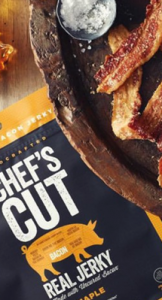 Today, Chef’s Cut Real Jerky Co. is headquartered in New York City. It has 24 full-time employees – 12 based in New York and 12 sales and marketing employees spread out across the country. Since 2011, the company has sold more than 15 million bags of jerky, with one million of those sold on golf courses. In 2017, the brand had retail sales of almost $100 million, and its products can be found in most major grocery outlets and convenience stores across America. “You can pretty much find us everywhere,” Silvestro says. The company now offers an extensive line of products, including hand-crafted steak, chicken, turkey and pork jerkies, Snack Sticks, Meat Bars and Protein Snack Packs. 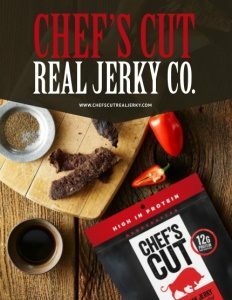 WHO: Chef’s Cut Real Jerky Co.